The incline transports over half a million passengers a year between the upper terminal at Grandview Ave. and the lower, at Carson Street. Many residents of Mount Washington use the incline in their daily commutes, as it provides easy access to the Pittsburgh Light Rail system known as The T, as well as bus routes and The Smithfield Bridge over the Monongahela River to the heart of downtown. Accessibility : The Mon Incline is accessible with an elevator on the west side of each station. 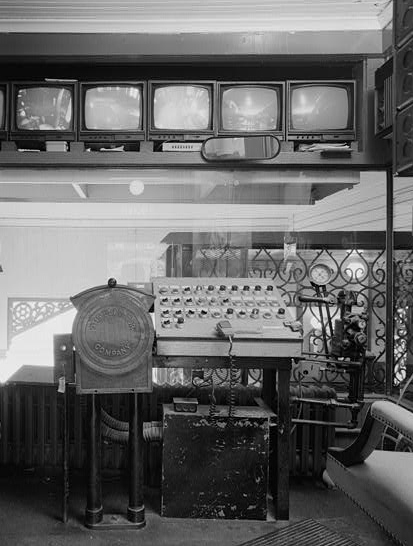 The operators pulpit before the turn of the century.